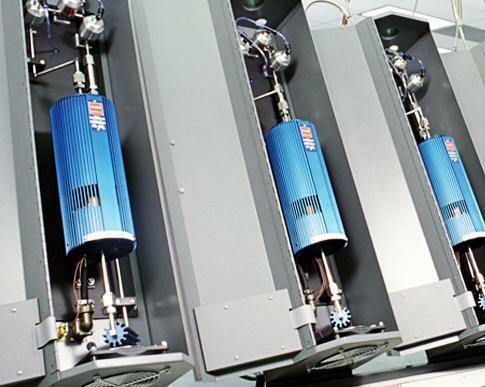 SAES Group manages gases, either under ultra-high vacuum, either at high pressure. Capture of trace impurities from a flowing gas, enabling the generation of ultra-high pure gases, characterized by impurity concentrations below 1 part-per-billion (ppb), requires competence in getter technology, in heterogeneous catalysis, which is often needed to convert specific gaseous impurities into other species that can be readily removed by the gas phase by a getter material and in highly sophisticated trace gases analyses. Among the many core technologies of SAES, UHP Technology is the only one including advanced engineering competence enabling the manufacturing of turn-key industrial plants.